Chance Sturup is a student at the University of South Carolina School of Law. After serving as President and Captain for our friends over at Alabama Mock Trial as an undergrad, Chance moved to Columbia and brought his experience and passion for mock trial to the Gamecocks. Mark Brown is the Associate Director of Pre-Professional Advising and a pre-law adviser at the University of South Carolina. He also teaches undergraduate courses each semester in criminal justice and criminology. Before going into education, Mr. Brown worked as a criminal defense attorney. Theresa Clement is a senior instructor in the Department of Criminology and Criminal Justice. A graduate of the University of South Carolina School of Law, she previously worked as an attorney and magistrate, and specializes in criminal procedure. ​​Jonathan J. Edwards is Director of the Speech, Communication and Rhetoric Program at the University of South Carolina. Over the past fifteen years, Dr. Edwards has served as a teacher and communication consultant in both academic and professional settings. Since coming to USC in 2010, he has taught courses in public speaking, argumentation, rhetorical theory, and business communication for the Department of English and the South Carolina Honors College. He also lectures on marketing pitches and professional communication and consults with entrepreneurs on the most effective ways to present their ideas to potential investors. 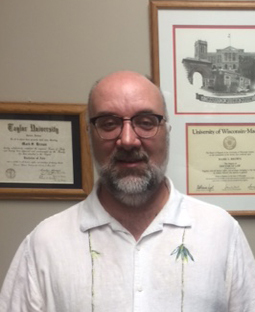 Dr. Edwards earned his Ph.D. from Northwestern University​. A published authority on religious movements and political communication, his research has been cited in a number of books, periodicals, and professional journals. He currently divides his time between teaching, consulting, and conducting research for his second book. The UofSC Mock Trial Program is always looking for qualified coaches. Our members are talented, driven, and passionate about trial advocacy, but a more experienced eye can be invaluable to our success. If you have sufficient experience with the law and/or Mock Trial, and you'd like to help, please contact us!